If you are studying composition in Europe and want to be a part of our adventure in Salzburg during the 7-9th of November 2019, APPLY NOW! 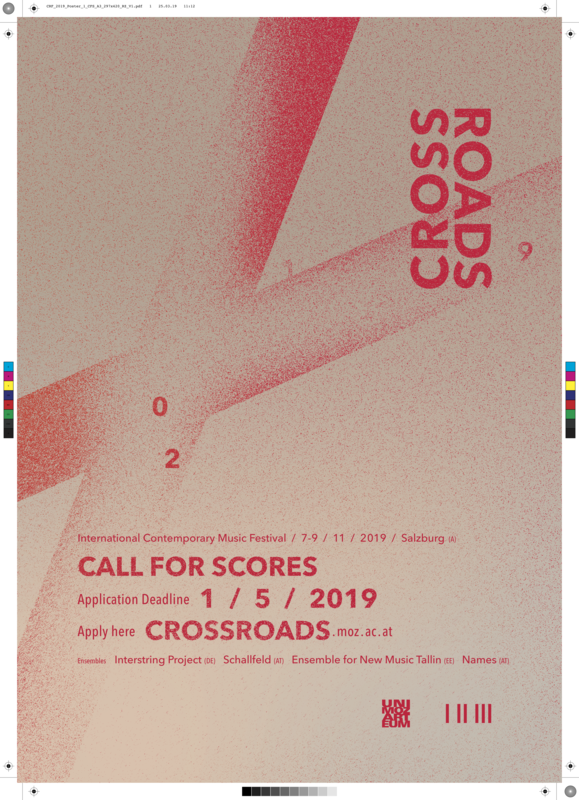 All you need to do is send us some information about yourself (please check the application requirements below) before the 1st of May, 2019 and after the selection is finished, 15 of the most interesting candidates will be invited to compose new pieces for the chosen ensembles and to participate in the Festival. The selected students will be provided with the accommodation in Salzburg for the time of the Festival, as well as will receive a refund of 150 eur for the travel costs. Composers of any age and nationality, studying in the EU. Preference of the ensemble you want to compose for (information below). Please choose only 1 ensemble! Please note: applications, received after the deadline or missing any of the required files will not be considered! All applicants will be informed about their participation within 3 weeks after the application deadline. The selected composers will be given more detailed information about the composition requirements then. The selection of the students will be made by the ensemble members, the main criteria being originality, quality and style of the recent pieces, provided in the recordings of the application. The larger ensembles can also perform pieces for a semi-full instrumentation, but we encourage you to consider all the instruments as equals and not to exclude any of them! If you have a composition, which is already written and matches all of the requirements, you can still apply! More details about the composition requirements will be given to the selected composers after the selection is over.